An operations system an important decision your company will eventually have to make. It takes technology to go business in every market today. Those who don't have it are left behind. MediaDR makes enterprise level operations software possible for small to mid-size businesses. Our operations systems are supported 24/7 and are always adding new features to benefit your business. It's like having an entire developer team at a fraction of the cost. To be an agile business you need an operations system that works with your business processes. It needs to function the way you want it. We'll sit down with you and plan all the details of your new system. From first contact to job completion and feedback we can build you a complete operations system that you control. Save money on software licenses and control your data. Operations systems can also inform your customers with logins and e-mails about their purchases and timelines of service. Marketing and Operations systems unified in powerful web based software. You can integration your operations with other internal and external applications. 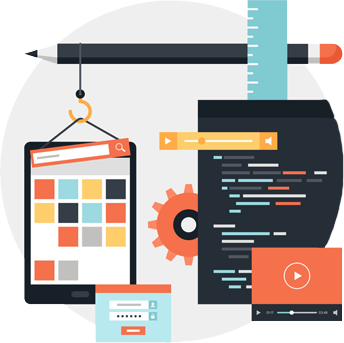 Our secure web applications are professionally built by expert programmers that have created software for high-profile companies. We can help you store all your documents online and make them instantly searchable. Greatly improve employee efficiency with digital storage. All our custom operations systems are hosted on high-end hardware that give you lightning fast access. All hardware and software to run your system as it scales is included.